The Yuxin Key Chain / Key Ring was released in May 2016 by Yuxin. This little pocket rocket is sure to impress!! The Yuxin keychain cube was the perfect size for a mini cube! It was not too big and not so small you couldnt move the layers individually. the best thing is that i can sneak it in the classroom at school and never be noticed! The only problem is that the keychain gets in the way while solving and there is a bit of spring noise, but i can fix the spring noise easy with a bit of lube. It turns great and dosen't catch at all. I love how it stickerless because i'm bad with small stickers. The Yuxin 3x3 keychain-cube is amazing! It is the best key-chain cube i have ever used, it has great corner cutting and is extremely fast. You need to pick this up! 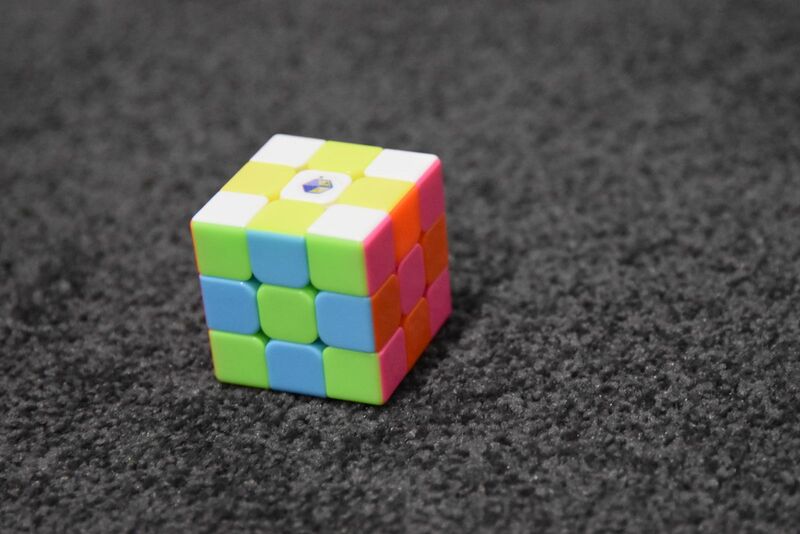 Although every now and then it may pop, but to stop the popping issue you can tighten the tensions, i also think that Yuxin should make it in stickerless bright as well as stickerless pink which is the only colour scheme that it comes in. I highly recommend this product and i think that it is great for its price. Leon K. Reviewed by Leon K.